60dB, a radio service that personalises what you hear based on interests and listening patterns, is launching on Amazon's Alexa. 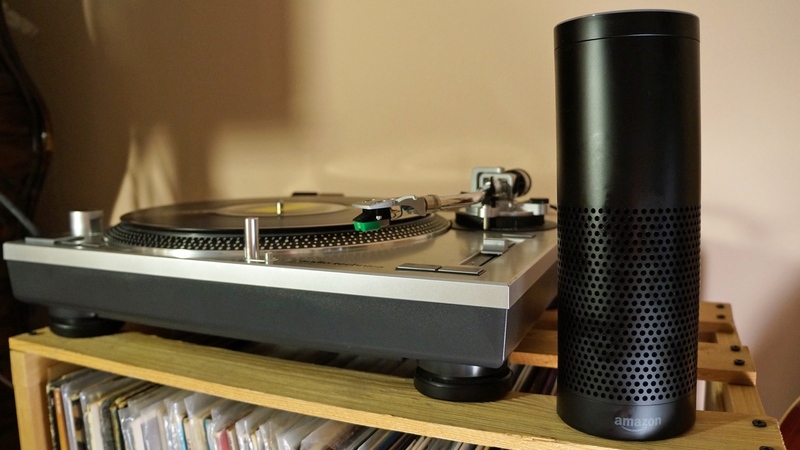 60dB is already available as an iOS app, but the company believes Amazon's smart home assistant is a perfect vessel for its Netflix-style radio app. The service works by pulling together short stories around news, entertainment, sports etc from a wide range of different sources. As for how it chooses what you hear, there's a bit of light on-boarding that lets you select some of your interests, as well as the ability to link 60dB with your social media services. But the meat of it comes from what you skip and what you actually listen to; 60dB uses your habits to guess what you'll find interesting. 60dB pulls its audio from news clips on different mainstream radio stations, podcasts (including those already on your phone), and even has a deal to take an audio rip from some video content. This is all amalgamated into one sequential stream that Alexa will play when asked. And much the same as the iOS version, you can ask Alexa to skip stories you're not interested in - which make it less likely those types of story will appear again in the future. Plus, there will be a seamless transition if you stop listening on your phone and pick up the steam on Alexa - and vice versa. "From the beginning we've wanted to design for voice," 60dB co-founder and ex-NPR reporter Stephen Henn told Wareable. "Radio is the default medium people turn to when your eyes and hands are busy. You push a button and you get something." There are already a few news Skills available for Alexa, but 60dB has the unique angle of being personalised. Working alongside Henn are two ex-Netflix execs including John Ciancutti, who worked on the first bits of code for Netflix's personalisation feature. "Behaviour over time is the best indicator of preference," he said. 60dB also has plans to get the service on Android and Google Home down the line. For now, the Skill can be downloaded and started with a simple, "Alexa, play stories from 60dB."